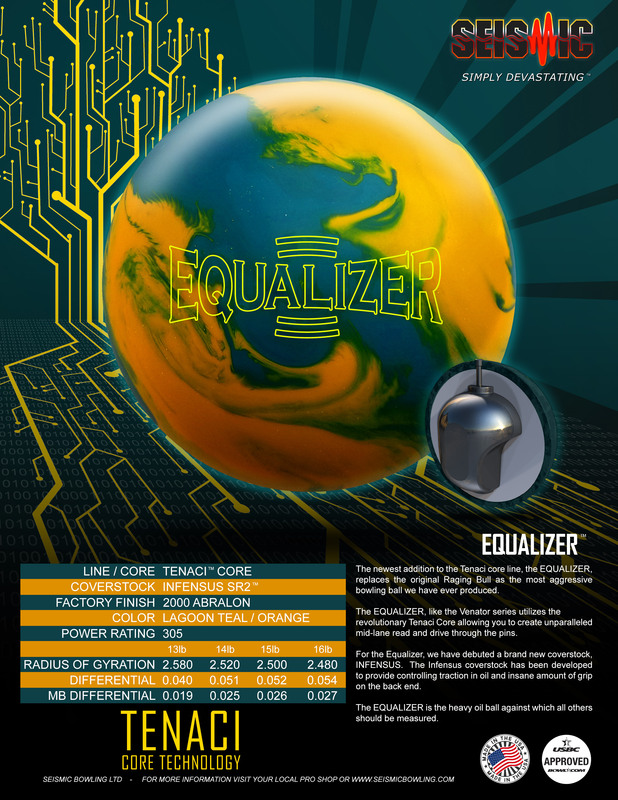 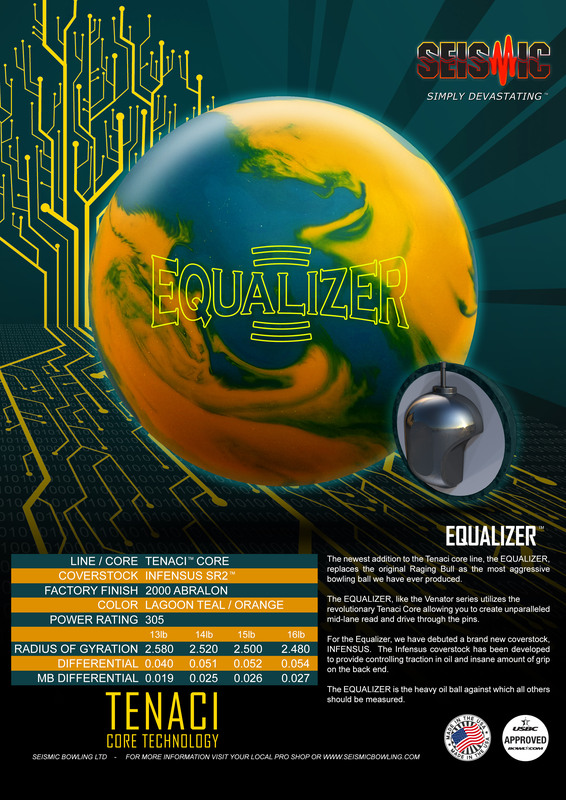 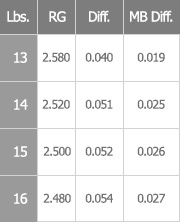 Pushing the limits of bowling ball strength, the EQUALIZER is the new standard to which all heavy oil balls should be compared. 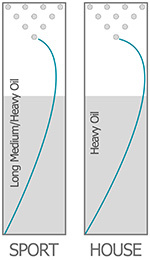 The new INFENSUS coverstock gives you unrivalled combination of traction in oil and recovery on dry boards. 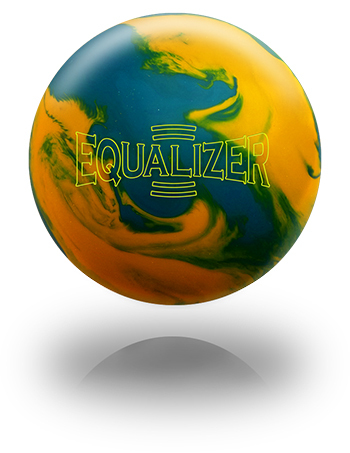 When matched up with the insanely strong Tenaci Core, you have a ball that makes easy work of even the heaviest oil patterns, and throws pins around like you wouldnt believe!